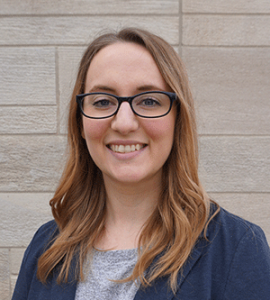 Rachel Holder, MLS candidate at Indiana University was selected as this year’s recipient of the BRASS Student Travel Award sponsored by SimplyAnalytics. The award includes a $1,250 monetary prize given to a student enrolled in an ALA accredited master’s degree program to fund travel to and attendance at the ALA Annual Conference and a one-year membership in the Business Reference and Services Section (BRASS) of RUSA. Her scholarly pursuits have been exceptional. A professor nominated her research paper for inclusion in DttP; the article was accepted and published in the winter 2017 issue (Holder, R. (2017). ; Campus Crime Reporting Under the Clery Act, DttP, 45 (4), 7-12. ). The selection committee includes: Patricia E. Kenly (Chair), Sara Foster Hess; Kelly LaVoice and Molly E.K. Ledermann.